Both these guys are also taking home $600 tonight, courtesy of the deal that was struck earlier. A quality job today, both of you! After a mid position limp, Leo C limped on the button. Steve Krogness completed in his SB, and Tracy Stearman checked her option. 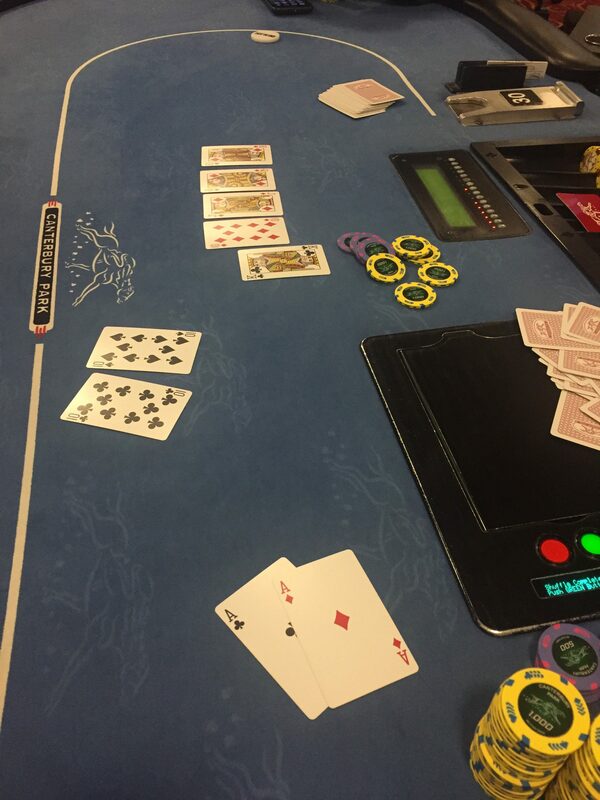 A Q♥ Q♠ T♦ flop got checked to Leo C on the button who bet 18,000. 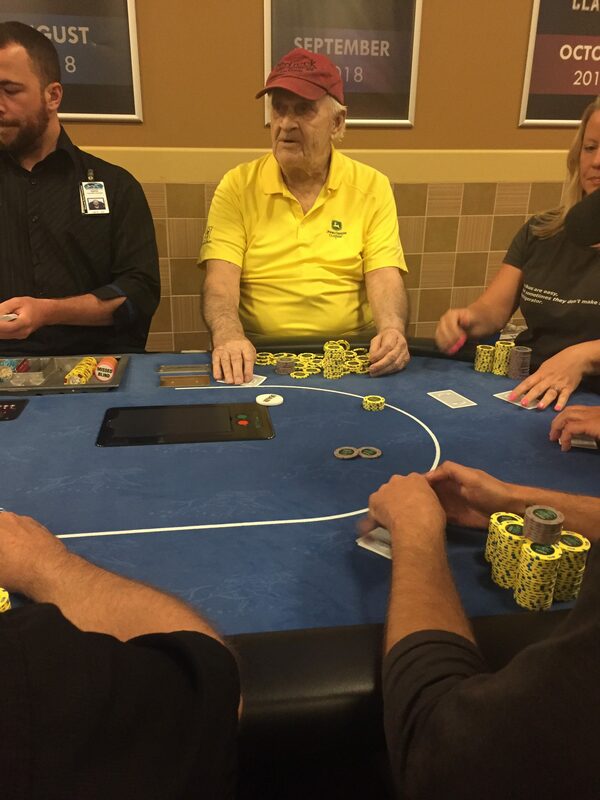 Krogness quickly moved all in for 40,000 total, and all folded to Leo C who made the call for 22,000 more. Krogness was in a bit of trouble as he learned his J♣ 9♦ was against Leo’s K♠ J♥, but that trouble disappeared when a K♣ on the turn gave Krogness a straight. The 4♥ river couldn’t let Leo overtake the straight, and Krogness scored a double up around 120,000. The hand left Leo down to around 60,000. Since striking the 11 way deal, bust outs have been fast and furious! Both players will take home $600 tonight, awesome job guys! 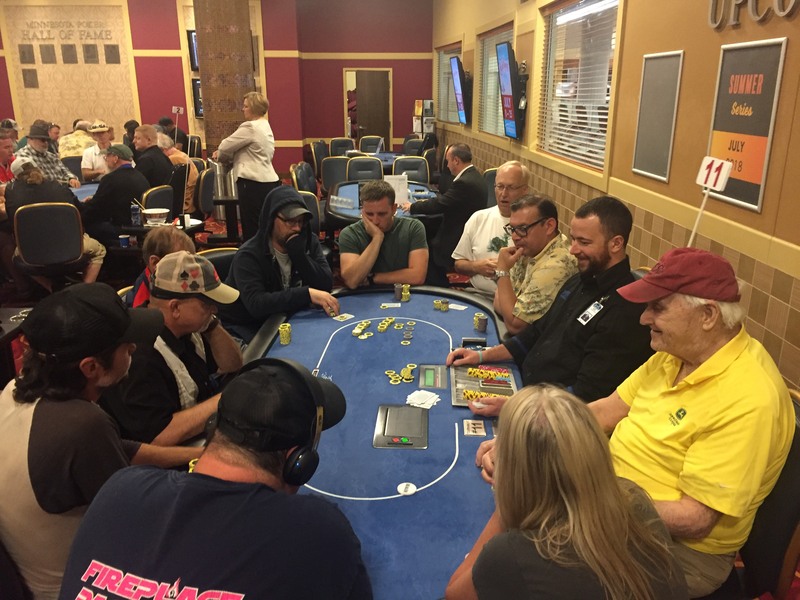 Here’s our final table tonight, congrats to these players who are still alive! http://www.piftpoker.com/wp-content/uploads/2017/04/pift-logo.png 0 0 Schneids http://www.piftpoker.com/wp-content/uploads/2017/04/pift-logo.png Schneids2018-07-22 19:39:272018-07-22 19:39:27Our Final Table! Congrats to Kelly Day on another nice run this weekend! Thanks for attending PIFT events ALL weekend long, it was noticed and appreciated! 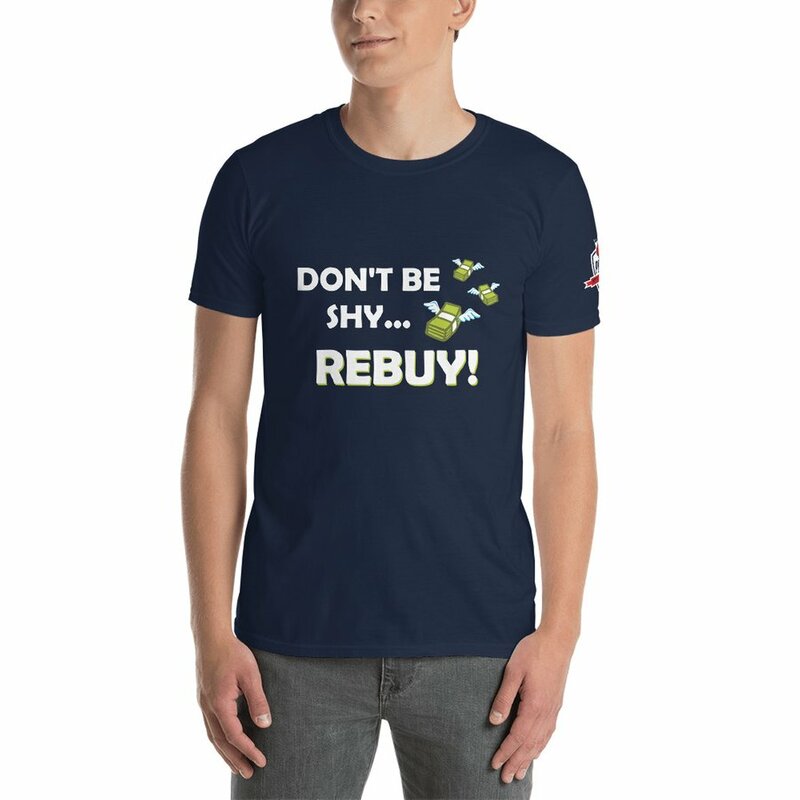 The 11 remaining players have all agreed to guarantee everyone $600, and have 1st place be $1618. Congrats to everyone on ensuring yourselves between 5th and 6th place money, in what will surely be the first of more than one deal that gets struck tonight! 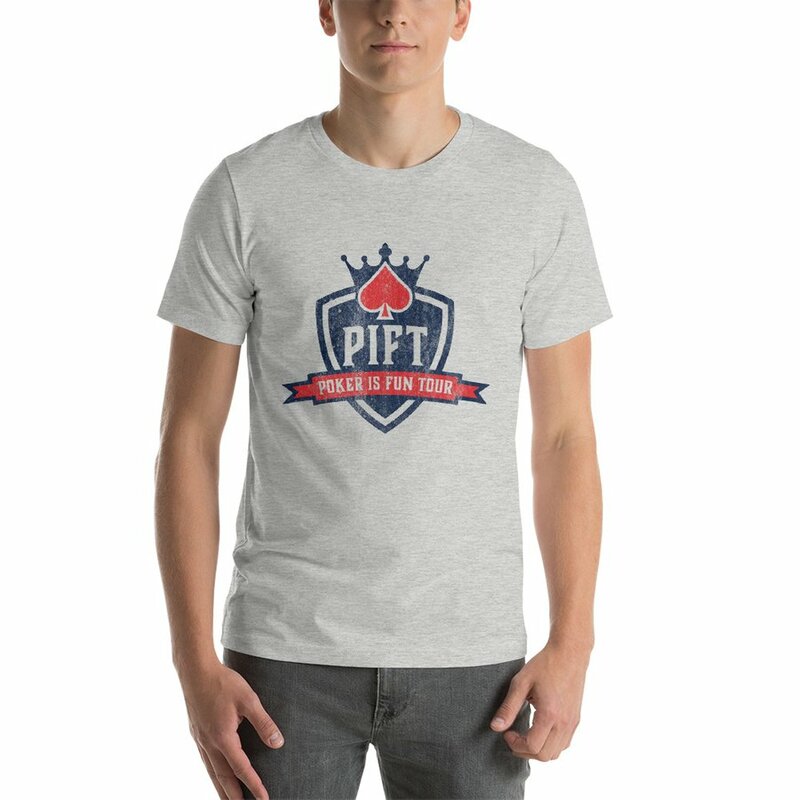 http://www.piftpoker.com/wp-content/uploads/2017/04/pift-logo.png 0 0 Schneids http://www.piftpoker.com/wp-content/uploads/2017/04/pift-logo.png Schneids2018-07-22 19:33:112018-07-22 19:33:11An 11 Handed Deal Has Been Struck! Congrats to the following players who all won $182! With 12 players left, had Scotti Kunkel get his last 61,000 all in preflop with A♦ A♣, against T♣ T♠ of James McCarthy. 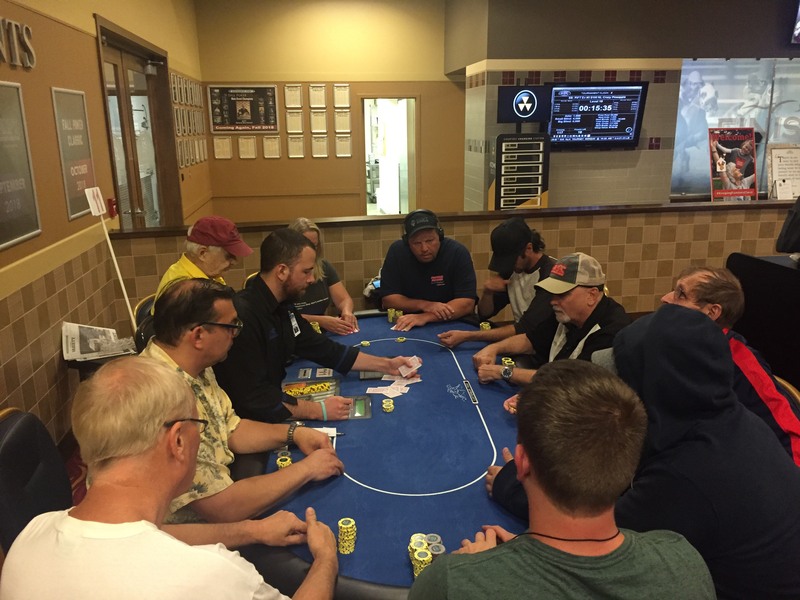 The board run out of K♣ J♦ T♦ Q♦ K♦ offered quite the excitement for everyone at the table as Kunkel ended up rivering a royal flush to McCarthy’s tens full of kings. 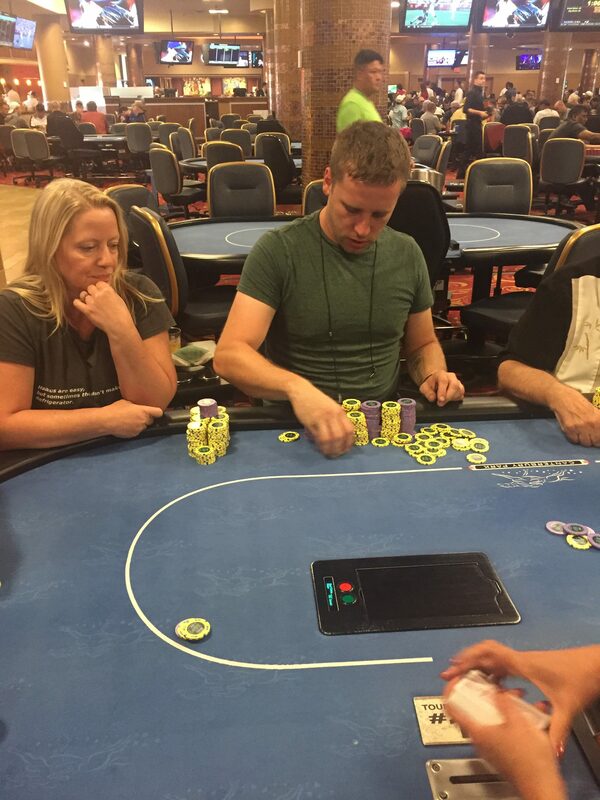 After prior wagering on the flop and turn, James McCarthy ended up all in against Tracy Stearman on a A♣ 4♦ Q♣ J♦ 8♣ board. Stearman had A♠ J♣ for a turned aces and jacks. McCarthy held K♣ 9♣, for a rivered nut flush. When it was all said and done, he doubled up to around 150,000 and Stearman was left with around 160,000. 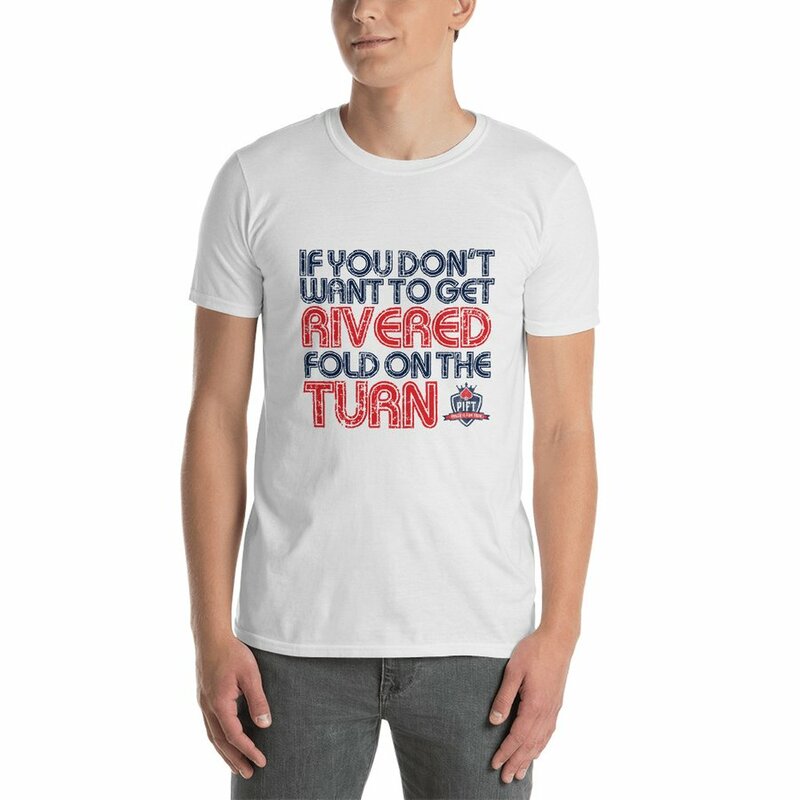 Flop The World carries a nice variety of novelty shirts and apparel, check em out.